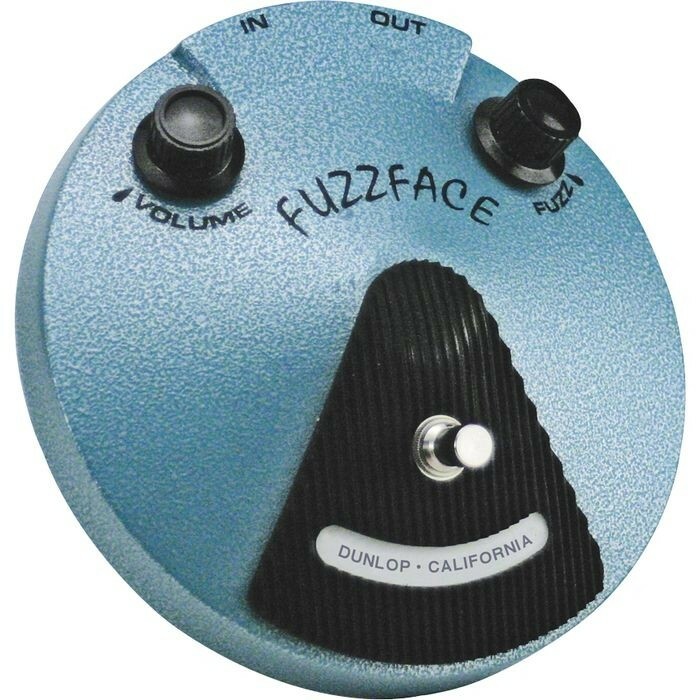 Dunlop JH-F1 Jimi Hendrix Fuzz Face Pedal Features:BC-108 silicon transistorHand wired circuit boardOriginal Fuzz Face knobsTurquoise hammertone finish Hendrix was the master of fuzz — an artist with many subtle shadings at his command. His love affair with the legendary Fuzz Face pedal began in the early days of the Experience and continued to evolve throughout his blazing career. A truly playable collectable for any Hendrix or Fuzz Face fanatic.